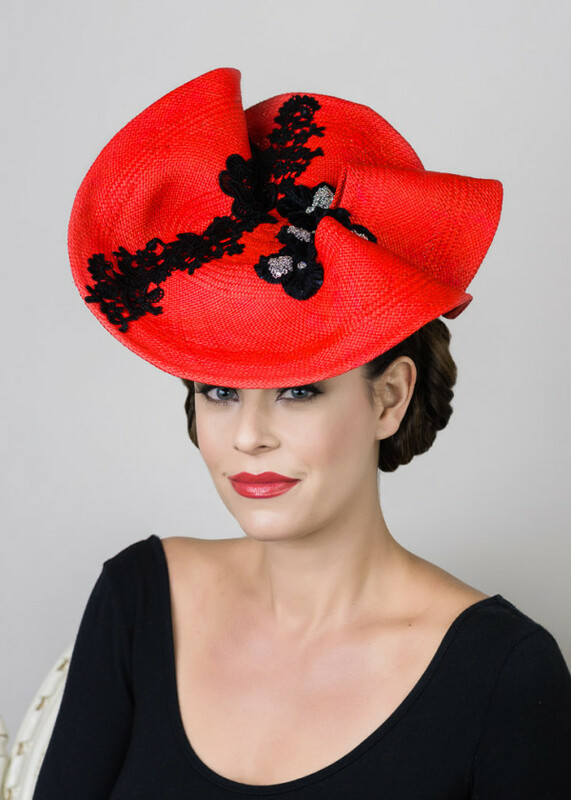 Red hat body with black Guipure lace, black velvet flowers with centre and one petal hand beaded in Swarovski crystals. 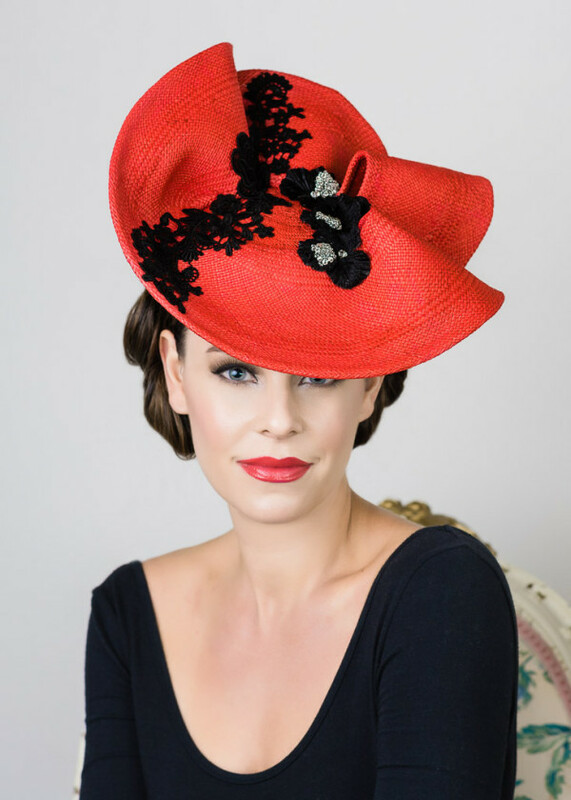 © 2019 Julie Anne Lucas Millinery. Website produced by songy knox.